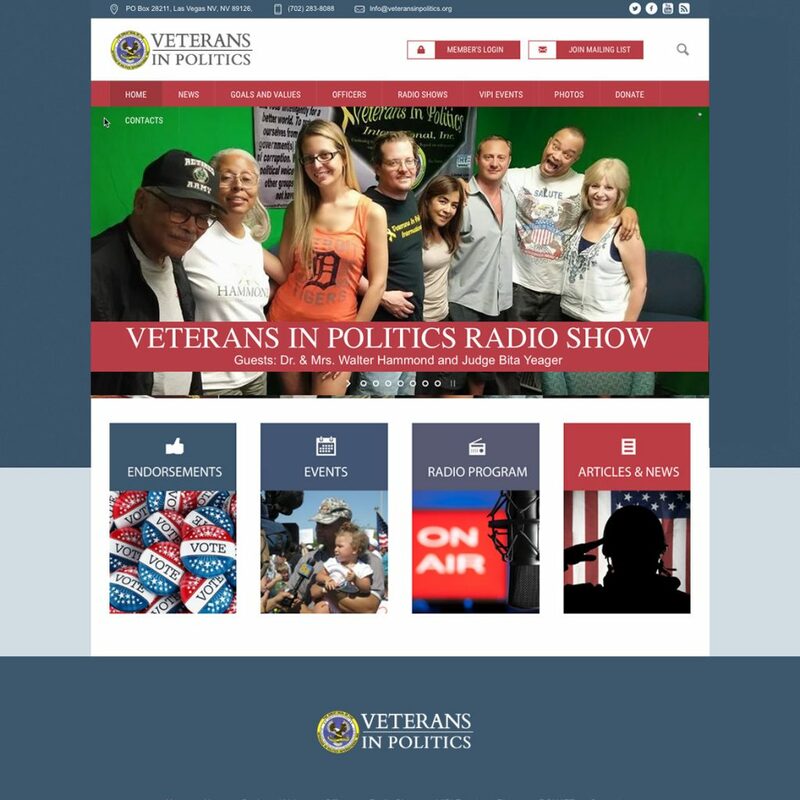 Client: Veterans In Politics International – National veterans political organization which educates, organizes, and supports veterans and their families to select, support and intelligently vote for those candidates whom would help create a better world, to protect ourselves from our own government(s) in a culture of corruption, and to be the political voice for those in other groups who do not have one. Project Overview: Client requests complete redesign of existing website with responsive formatting and easy content management of articles and events. 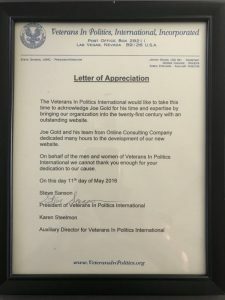 Veterans Letter of Appreciation: This project design, development and hosting was donated to Veterans In Politics International for their amazing dedication and support to all United States veterans and their families. 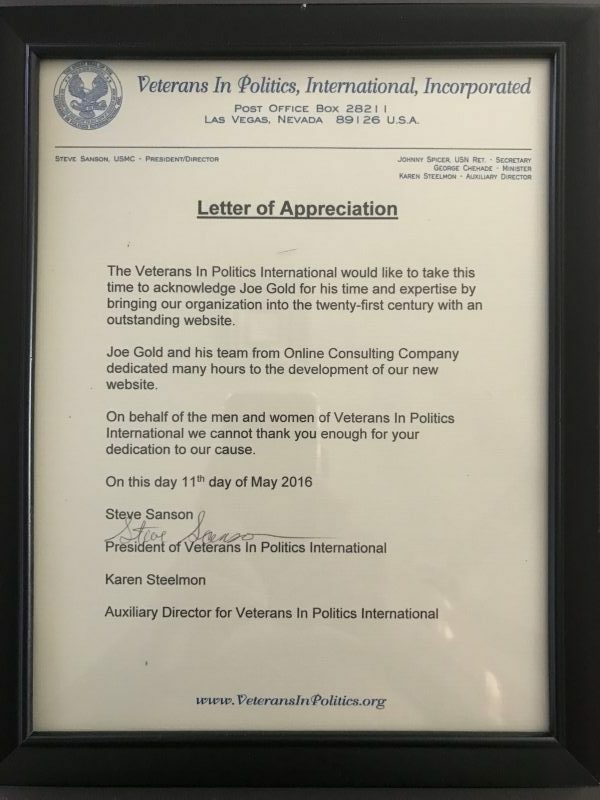 As a result of our work on this project we were honored with a formal letter of appreciation at their annual ceremony in Las Vegas on May 11th, 2016.